THE passenger service operated by Weardale Railway Heritage Services Ltd (WRHSL) now includes Bishop Auckland West on its timetable, until October 28. The last scheduled passenger trains to run there were operated by Weardale Railway CIC, which operated services between 2010 and 2012. WRHSL is a subsidiary of the Weardale Railway Trust, a voluntary body which also supports the work of WR CIC. Class 122 No. E55012 is seen at Frosterly station on June 30, the day before services to Bishops Auckland West were reinstated. 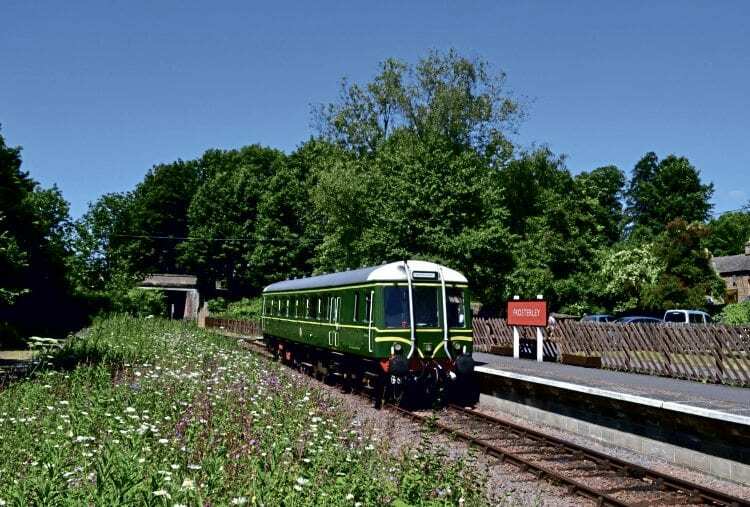 The ‘Bubblecar’ left the railway after the original heritage passenger services ceased and spent time at the North Norfolk and Ecclesbourne Valley railways.